Krakonoš is mentioned when the author describes Baloun, who with his huge frame and long beard resembles Krakonoš. 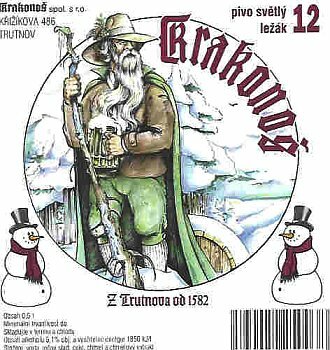 Krakonoš is a German/Czech/Polish folklore mountain spirit of the Krkonoše mountain range (Riesengebirge), subject of many legends in the region. Görlitz and Vysoké nad Jizerou both have museuems dedicated to Rübezahl/Krakonoš. He also appeared in numerous operas from the 19th century. [2.5] Před ním stál účetní šikovatel Vaněk, který zde sestavoval listiny k výplatě žoldu, vedl účty kuchyně pro mužstvo, byl finančním ministrem celé roty a trávil tu celý boží den, zde též spal. U dveří stál tlustý pěšák, zarostlý vousy jako Krakonoš. To byl Baloun, nový sluha nadporučíka, v civilu mlynář někde u Českého Krumlova. Baloun becomes the new officer's servant for Lukáš when Schröder promotes Švejk to messenger at the 11th march company. He is part of the story the whole journey from Királyhida to the front, and figures regularly from now on. He is a huge man, incredibly gluttonous and all he can think of is food. Apart from this he is portrayed as rather stupid. By profession he is a miller, he is married with three children (he often ate up their food) and is from the area around Krumlov. Baloun has no clearly identifiable model from real life, but at least his gluttony may have been derived from the author himself who when he was writing this part of the novel put on a lot of weight. Jaroslav Hašek was known as a gourmet, something which is reflected in the many descriptions of food throughout the novel. According to Josef Lada he was also a very good cook. There are several people with the name Baloun that the author might have met during his life, and could at least have lent their name (and even some personal traits) to the gluttonous miller. 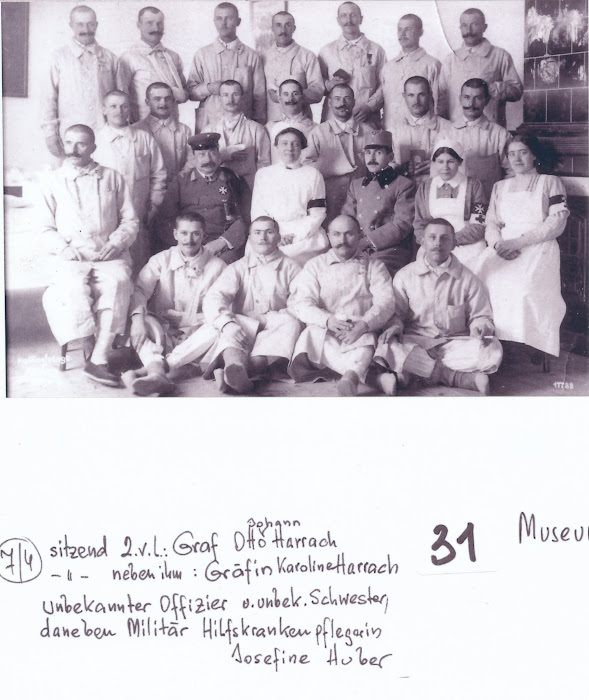 One of them was František Baloun, regimental doctor at IR91. He is listed in the regiment's ranks in 1914, 1916 og 1917 so would most likely also had served IR91 also in 1915. It has however not been established whether he served ved the regiment at the same time as Hašek. At outbreak of war he was associated with the detached 1st battalion in Dalmatia and if this was the case also in 1915 the two probably never met. A more obvious candidate is one-year volunteer Jaroslav Baloun who was transferred from IR73 to IR91, 2. Ersatzkompanie on 1 April 1915, during the same time Jaroslav Hašek served at IR91 Ersatzbattailon. It is very likely that the author knew about this Baloun as both were garrisoned in Budějovice. Baloun was in the spring of 1915 promoted to Kadett in der Reserve and fought with the regiment at Sokal where he was wounded on 27 June 1915. That said it was probably only the name that served as an inspiration. The one-year volunteer was tall for the time (176 cm) but no miller. He was born in Německý Brod (since 1945 Havlíčkův Brod) and as a 22 year old in 1915 he surely didn't have three children. A certain Petr Jindřich Baloun ran a mill by Netolice around 1930. Hypothetically Jaroslav Hašek may have met him during a four-day "escape" from Budějovice in 1915, when he according to Radko Pytlík visited the area. Another possible link between Jaroslav Hašek and some Baloun is Hotel Neptun where the author lived for a few weeks after his return from to Prague from Russia 19 December 1920. A certain Josef Baloun managed this hotel in 1924, and may have done so also in 1921. Weidenhofer was the one who was entrusted with tying up Baloun as punishment for having eaten the lunch of obrlajtnant Lukáš. [2.5] Sie Rechnungsfeldwebl,“ obrátil se na Vaňka, „odveďte ho ke kaprálovi Weidenhoferovi, ať ho pěkně uváže na dvoře u kuchyně na dvě hodiny, až budou dnes večer rozdávat guláš. Ať ho uváže pěkně vysoko, aby jen tak se držel na špičkách a viděl, jak se v kotli ten guláš vaří. Hegner was a staff sergeant who had served with captain Ságner in Serbia at the beginning of the war and had related to Vaněk how incompetent Ságner was at the front. Vaněk now relates this to Lukáš just as the latter gets to know that Ságner has been promoted ahead of him. [2.5] „Já z toho nemám moc velkou radost,“ důvěrně se ozval účetní šikovatel, „vypravoval štábsfeldvébl Hegner, že pan hejtman Ságner v Srbsku na počátku války chtěl někde u Černé Hory v horách se vyznamenat a hnal jednu kumpačku svého baťáčku za druhou na mašíngevéry do srbských štelungů, ačkoliv to byla úplně zbytečná věc a infanterie tam byla starýho kozla co platná, poněvadž Srby odtamtud s těch skal mohla dostat jen artilerie. This Kokoška is not identical to the Ferdinand Kokoška at the start of the novel who collects dog turds (although the names of both men no doubt have the same origin). Kokoška was the proprietor of Drogerie Kokoška at the corner of Na Perštýně and Martinská ulice where Hašek briefly worked as an apprentice in 1898. It has been verified that the pharmacy existed from 1890 until 1906 (Kokoška died that year). A picture of the shop from 1905 shows the name in the German version Kokoschka, a name used in most adverts and address books. Otherwise population registers reveal that Kokoška was born in Prague, was married to Anna (born Milnerová) and that the couple had one daughter, also called Anna. Police registers show that Kokoška was part owner of the company Ott. This is surely due to the fact his mother-in-law was Kateřina Ott, and the he may have inherited the part or it may even have been a marriage endowment. The firm Ott manufactured chemicals, poisonous substances and other items associated with chemists. Kokoška is pivotal in the stories From the old pharmacy (Veselá Praha, 1909/10) where he is half-heartedly re-named Kološka. He is described as a very short elderly man with a large moustache. Václav Menger provides additional information in his book Jaroslav Hašek doma (1933) and in two articles in Lidové noviny the same year. According to Menger the 15 year old Hašek was dismissed after having painted a beard and glasses on an Alpine cow to make it resemble the boss. Peregrinus Laziosi had his named invoked by Kokoška when sanctifying the herbs for bloated cows, all revealed in Švejk's anecdote about his time as a chemist's apprentice. Peregrinus Laziosi is commonly referred to as Saint Peregrinus. These were are seven different saints with the name Pelegrine or Peregrine, mostly martyrs from early Christianity. One expert (quoted below) maintains that the saint in question here is Peregrine Laziosi, patron saint for child-bearing women. Antonín Měšťan: ... während der Hl. Peregrinus (Pellegrin) in Wirklichkeit für die katolische Kirche der Patron der Gebärenden, der Wöchnerinnen und der Lohnkutscher ist. [2.5] „U nás se vyrábělo koření pro krávy se svěcenými obrázky. Von byl náš pan šéf Kokoška náramně nábožnej člověk a dočetl se jednou, že svatej Pelegrinus pomáhal při nafouknutí dobytka. Tauchen is mentioned when Švejk tells Vaněk about his time as a chemists apprentice. Tauchen was a shop-assistant at Drogerie Kokoška, who was given the task of writing religious poems to go with the cow-herbs. Must not be confused with one Tauchen who had a similar position at Firma Polák. The author's apprenticeship at Drogerie Kokoška inspired a series of eight stories that were published in Veselá Praha in 1909 and 1910. Already here Tauchen appears but with his name slighly twisted by still easily recognizable (Tauben). It is almost certain that some Tauchen worked for Kokoška but it has to this day (2017) not been possible to establish his identity. [2.5] A potom jsme je přikládali do balíčků toho našeho koření pro krávy. Krávě se to koření namíchalo do teplý vody, dalo se jí napít z dřezu a přitom se dobytku předčítala modlitbička k sv. Pelegrinovi, kterou složil pan Tauchen, náš příručí. To když byly ty obrázky sv. Pelegrina vytištěny, tak ještě na druhou stranu bylo potřeba natisknout nějakou modlitbičku. Ferdinand was, like Tauchen , a shop-assistant at Kokoška's, and had to help Tauchen write poems to go with the cow-herbs. This led to a row about the origin av authorship, but Švejk never managed to finish the story as Vaněk got a phone call. Braun was the orderly of the 12th march company, and Švejk had an unrewarding phone conversation with him in his first task as orderly of the 11th march company. Braun was a hatter from Pobřežní třída in Karlín who was mentioned in the conversation between orderly Braun and Švejk. Fuchs was a squad leader (četař) who was ordered by Lukáš to fetch tins from the stores. It was Švejk who conveyed the order. The tins turned out to be imaginary as much else in the k.u.k armed forces. [2.5] Četař Fuchs byl tak překvapen, že vypravil ze sebe jen: „Cože?“ „Žádný ,cože’,“ odpověděl Švejk, „já jsem ordonanc jedenáctý marškumpanie a právě před chvílí jsem mluvil po telefonu s panem obrlajtnantem Lukášem. A ten řek: ,Laufšrit s deseti muži k magacínu.’ Jestli nepůjdete, pane cuksfíra Fuchse, tak ihned jdu nazpátek k telefonu. Pan obrlajtnant si výhradně přeje, aby vy jste šel. Je to zbytečný vůbec vo tom mluvit. ,Telefonní rozhovor,’ říká pan nadporučík Lukáš, ,musí bejt krátký, jasný. Blažek is a kaprál who just about gets a word in after Švejk has given cuksfír Fuchs orders to draw a supply of tins from stores. Přenosil was a lieutenant Vaněk told about from another march company he had been to the front with. Lucie is mentioned in the drunken drivel of the staff sergeant who got a bribe from the farmer from Pardubice. Švejk and Vaněk witnessed the wooly utterings. Jurajda is a cook in the officers mess and takes part in the journey from Királyhida all the way to Klimontów. Jurajda is an occultist, in civilian life he published an occultist magazine and the book series Mysteries of Life and Death. He regularly chips in with thoughts on karma, transmigration of souls, and a number of questions of existencial significance. These range from our earthly existence to the life beyond. Apart from this he is a good cook and very popular amongst the officers. Still Colonel Schröder dispatched him to the front because he was slighly unlucky with the meal for the officers farewell party in Királyhida. [2.5] Kuchař Jurajda se dal do filosofování, což fakticky odpovídalo jeho bývalému zaměstnání. Vydával totiž do vojny okultistický časopis a knihovnu „Záhady života a smrti“. Na vojně ulil se k důstojnické kuchyni regimentu a velice často připálil nějakou pečeni, když se zabral do čtení překladů staroindických suter Pragnâ-Paramitâ (Zjevená moudrost). Plukovník Schröder měl ho rád jako zvláštnost u regimentu, neboť která důstojnická kuchyně mohla se pochlubit kuchařem okultistou, který nazíraje do záhad života a smrti, překvapil všechny takovou dobrou svíčkovou nebo s takovým ragout, že pod Komárovem smrtelně raněný poručík Dufek volal stále po Jurajdovi. Dufek was a lieutenant who fell by Komarów and called out for Jurajda as he stepped into the existence beyond. [2.5] Plukovník Schröder měl ho rád jako zvláštnost u regimentu, neboť která důstojnická kuchyně mohla se pochlubit kuchařem okultistou, který nazíraje do záhad života a smrti, překvapil všechny takovou dobrou svíčkovou nebo s takovým ragout, že pod Komárovem smrtelně raněný poručík Dufek volal stále po Jurajdovi. Kramář is mentioned in colonel Schröder's ruminations about the loyalty of the Czechs. This happened as the officers are having a Besprechung over the imminent transfer to the front. Kramář was a Czech politician and long time leadwer of Mladočeši who was arrested on 21 May 1915 and sentenced to death for high treason in December that year. The sentence was later converted to 20 years imprisonment, and he was released under the general amnesty given by the new emperor Karl in 1917. He was in 1918 to become the first prime minister of Czechoslovakia but was forced to resign the following year. Kramář was known as a panslavist and his wife was Russian. [2.5] Rozhovořil se o poměru důstojníků k mužstvu, mužstva k šaržím, o přebíhání na frontách k nepříteli a o politických událostech a o tom, že 50 procent českých vojáků je „politisch verdächtig“. „Jawohl, meine Herren, der Kramarsch, Scheiner und Klófatsch.“ Většina důstojníků si přitom myslela, kdy už přestane dědek cancat, ale plukovník Schröder žvanil dál o nových úkolech nových maršbatalionů, o padlých důstojnících pluku, o zeppelinech, španělských jezdcích, o přísaze. Scheiner is mentioned in colonel Schröder's ruminations about the loyalty of the Czechs. This happened as the officers are having a Besprechung over the imminent transfer to the front. Scheiner was a Czech politician, and like Kramář associated with the Czech domestic resistance movement during WW1, the so-called mafia. 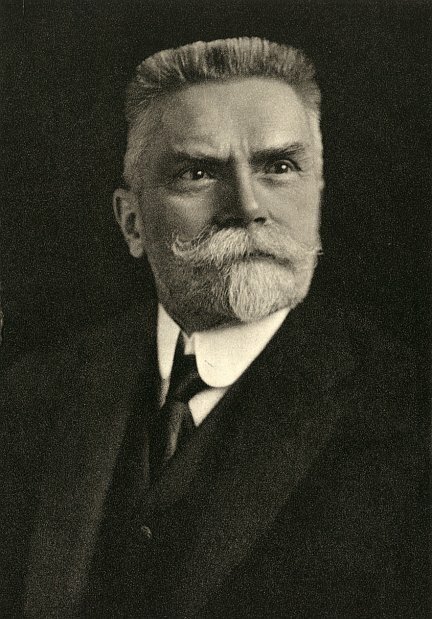 He was the long-time leader of Sokol, both the Czech and the international organisation (he founded the latter in 1908). He was also editor-in-chief of their monthly Sokol. On 21 May 1915 he was arrested and charged with espionage but was released later that year and allowed to return to Prague. After the war he was for a period head of the Czechoslovak armed forces and also inspector general, but for the most part he dedicated the rest of his life to Sokol. Klofáč is mentioned in colonel Schröder's ruminations about the loyalty of the Czechs. This happened as the officers are having a Besprechung over the imminent transfer to the front. Klofáč was a Czech politician and journalist, chairman av Česká strana národně sociální (the national social party) from its foundation in 1897. He was arrested in september 1914 and sentenced for high treason as late as 1917. Later that year he was released, a result og emperor Karl's general amnesty. In Czechoslovakia he was minister of the interior from 1918 to 1920, and held the post of senator until 1938. Zeppelin is mentioned in a long speech by colonel Schröder in the same breath as the tasks of march battalions, fallen officers, Spanish riders etc., albeit indirectly through the term "Zeppeliner" (air-ship). Zeppelin was a German officer and best known for the invention of the airship. Born into a wealthy and influential family in Konstanz, he graduated from the war academy in Ludwigsburg. He was present as an observer in the American Civil War and noted how balloons were used in the conflict. This no doubt inspired his famous future invention. The first airship flight took place on 2 July 1900 over Lake Constance. Several more Zeppeliners were built over the next fourteen years, some of them for the armed forces. The Zeppeliners played a certain role in WW1, and were widely used (by Germany in particular) for bombing and reconnaissance. They eventually proved vulnerable due to their large target area. In the inter-war years they had a renaissance, but the Hindenburg disaster in 1937 effectively proved the end. [2.5] Většina důstojníků si přitom myslela, kdy už přestane dědek cancat, ale plukovník Schröder žvanil dál o nových úkolech nových maršbatalionů, o padlých důstojnících pluku, o zeppelinech, španělských jezdcích, o přísaze. Šancler was a military doctor who sat in the officers' club, reading aloud from a book on treatment of the wounded, Lukáš was the only person present. [2.5] Nadporučík Lukáš seděl ještě zatím v důstojnickém kasině s vojenským lékařem Šanclerem, který sedě obkročmo na židli, tágem bil v pravidelných přestávkách o podlahu a přitom pronášel tyto věty za sebou: „Saracénský sultán Salah-Edin poprvé uznal neutralitu sanitního sboru. Má se pečovat o raněné na obou stranách. Saladin was a Saracen sultan who is said to have been the first to decree that wounded from both sides should get equal treatment. This is amongst the things the doctor Šancler reads aloud to Lukáš. Saladin was the leader of the muslim resistance against the Christian crusaders and was the one who finally repelled the intruders, capturing Jerusalem in 1187. Saladin was known for his good treatment of captured opponents, which has given him a good name even until today both in the Muslim and Christian world. He was of Kurdish descent, by a twist of irony born in the same city as Saddam Hussein. Anna Nána appears in one of Švejk's songs. Zátka was employed at the gas station at Letná and his task was to lit and put out gas lamps. He had a lot of spare time between lighing the lamps and putting them out, and many pubs were found on his route. This could result in early morning utterances like: A cube is all an edge and angle, that’s why a cube is angular. This is Švejk's comparison jo Jurajda's formation and non-being. See Plynární stanice Letna. [2.5] „Co se mý osoby týká, pane rechnungsfeldvébl, když jsem to slyšel, co vy jste vo těch outvarech povídal, tak jsem si vzpomněl na nějakýho Zátku, plynárníka; von byl na plynární stanici na Letný a rozsvěcoval a zas zhasínal lampy. Jemelka is mentioned in the same anecdote as Zátka where Jemelka's sermons at Kostel svátého Ignáce are referred to. Jemelka was a jesuit priest who had a post at Kostel svátého Ignáce. He did, amongst other things, get involved in a debate on religion with professor Masaryk and also wrote a book about it: Masarykův boj o náboženství. [2.5] A potom,“ řekl Švejk tiše, „to s tím Zátkou po čase skončilo moc špatně. Dal se do Mariánský kongregace, chodil s nebeskýma kozama na kázání pátera Jemelky k svatýmu Ignáci na Karlovo náměstí a zapomenul jednou zhasnout, když byli misionáři na Karláku u svatýho Ignáce, plynový svítilny ve svým rayoně, takže tam hořel po ulicích plyn nepřetržitě po tři dny a noci. Blüher was an officer from Švejk's national service who he related to Vaněk about. The major was of the opinion that an officer is the most perfect being on earth, and one of Švejk's comments didn't quite fit. [2.5] To je velmi špatný,“ pokračoval Švejk, „když se najednou člověk začne plést do nějakýho filosofování, to vždycky smrdí delirium tremens. Před léty k nám přeložili od pětasedmdesátejch nějakýho majora Blühera. Ten vždy jednou za měsíc dal si nás zavolat a postavit do čtverce a rozjímal s námi, co je to vojenská vrchnost. Ten nepil nic jiného než slivovici. ,Každej oficír, vojáci,’ vykládal nám na dvoře v kasárnách, ,je sám vod sebe nejdokonalejší bytost, která má stokrát tolik rozumu jako vy všichni dohromady. Pech was a recruit from Dolní Bousov, described by Švejk in conversation with Vaněk. He was locked up for giving such exact answers to lieutenant Moc and major Rohell that these perceived it as sarcasm. The answer in an almost literal quote from Otto's Encyclopaedia. might have been a fictive or semi-fictive recruit but his answer was real enough: it is an almost literal quote from Ottův slovník naučný. Ottův slovník naučný: Bousov Dolní, Bohousov, Boužov (něm. Unter-Bautzen), město t., s 267 d., 1936 obyv. čes. (1880), hejtm. Jičín, okr. Sobotka (5 km jihozáp. ), býv. panství Kosť, farní chrám sv. Kateřiny, pův. ze XIV. stol. obnovený od hr. Václava Vratislava Netolického), škola, pošta, telegraf, stanice české obchodní dráhy, 6 výročních trhů, cukrovar, mlýn s pilou, zv. Červený, a samota Valcha. Moc was a lieutenant who in one of Švejk's anecdotes asked all the recruits where they were from. He then ordered recruit Pech to be excact in his answer when asked where he was from, and duly got the encyclopaedic details from Dolní Bousov. may have been fictive, but the answer he got was defintely from the real world. See Pech. [2.5] „Docela dobře řečeno,“ pravil Švejk. „Na to nikdy nezapomenu, jak zavřeli rekruta Pecha. Lajtnant od kumpanie byl nějakej Moc a ten si shromáždil rekruty a ptal se každýho, vodkud je. Rohell was the officer who dealt with Pech's complaint after lieutenant Moc had whacked him because his answer was too excact. Rohell then got Pech locked up at the asylum of the military hospital. Netolický renovated the church in Dolní Bousov according to recruit Pech. Netolický is highly probably Václav Kazimír Netolický z Eisenberka, Imperial Field Marshal and from 1759 lord of Kost. Sylvanus was an infantryman who in civilian life had been in and out of prison, but proved to be an efficient soldier. He was executed though, after getting caught robbing the dead. This is according to Vaněk in a conversation with Švejk. [2.5] Pamatuji se u osmé maršky na infanteristu Sylvanusa. Ten měl dřív trest za trestem, a jaké tresty. Neostýchal se ukrást kamarádovi poslední krejcar, a když přišel do gefechtu, tak první prostříhal drahthindernissy, zajmul tři chlapy a jednoho hned po cestě odstřelil, že prý mu nedůvěřoval. Pleschner was a ensign involved in preparing for abmarsch from Királyhida. He also appears before Budapest where he gives Biegler cognac. [2.5] Co má dnes s manšaftem dělat fähnrich Pleschner? Vorbereitung zum Abmarsch. Účty? Přijdu podepsat po mináži. Nikoho nepouštějte do města. Do kantiny v lágru? Po mináži na hodinu... Zavolejte sem Švejka! Teveles was a squad leader who was locked up in Királyhida after being caught with a war medal he had bought and with one-year volunteer stripes he had sewed on himself. This had happened during the retreat from Belgrade on 2 December 1914. A story with certain paralleles to the Teveles affair appeared in the newspapers in 1915. The 21 year old Jan Schuh had falsely pretended to be a corporal and had also aquired a war medal that wasn't his. In this narrative the author mixes up dates and events. K.u.k. Heer pulled out of Belgrade 14 December 1914 but they had indeed entered the Serbian capital on the 2nd. [2.5] Potom byl ještě druhý případ. S jednoročním dobrovolníkem Markem dodán byl současně na hauptvachu od divisijního soudu falešný četař Teveles, který se nedávno objevil u regimentu, kam byl poslán z nemocnice v Záhřebě. Měl velkou stříbrnou medalii, odznaky jednoročního dobrovolníka a tři hvězdičky. Zwiebelfisch was the staff secretary who allowed a tom cat to enter the office. The cat then crapped all over the map of the battlefield. [2.5] Výslech byl krátký. Zjistilo se, že kocoura před čtrnácti dny přitáhl do kanceláře nejmladší písař Zwieblfisch. Po tomto zjištění sebral Zwiebelfisch svých pět švestek a starší písař ho odvedl na hauptvachu, kde bude tak dlouho sedět, až do dalšího rozkazu pana plukovníka. Peroutka was a lance corporal from the 13th march company who disappeared from the camp in Királyhida when the rumours about an imminent departure to the front started to spread. He was found at Zur weissen Rose in Bruck. Růženka was a bar lady at Zur weissen Rose who gefreiter Peroutka had slept with the night with before he got caught after trying to avoid departure to the front. Růženka appears to have had a real-life model. According to Bohumil Vlček she worked at a bar that was popular amongst Czech soldiers in Bruck: "U růže" (Zur Rose/At the Rose). Harrach is mentioned in connection with Peroutka who according to his own explanation took leave from the camp in Királyhida to have a look at the counts greenhouse. Harrach was a count of the Czech-Austrian noble family Harrach who owned Schloss Prugg in Bruck an der Leitha. Count von Harrach was from 1909 "majorat" of the noble family and was as such the formal owner of the caste. He was son of the Czech politician Johann Nepomuk von Harrach. During the war he and his wife ran a hospital in the castle. Havlík reported that the railway carriages were ready at Bruck an der Leitha station. [2.5] Tento optimistický názor nesdílela 13. marškumpačka, která telefonovala, že právě se vrátil kaprál Havlík z města a slyšel od jednoho železničního zřízence, že už vozy jsou na stanici. Novotný from Dražov appears in an anecdote. See Doubrava. [2.5] Tak jsem mu ještě řekl bližší podrobnosti, že v Dražově byli dva Novotní, Tonda a Josef. Doubrava was a Czech emigrant from Montgomery in the United States who was visiting his homeland when Švejk met him on a tram and mistook him for Novotný. It is in this anecdote Švejk reveals where he is from, and even mentions the names of his parents. Biegler is a cadet in the 11th march company who plays an important part at the start of Book Three. He is beside lieutenant Dub the main target of the author's ridicule of upwardly mobile monarchists in K.u.k. Heer. Biegler had studied military history diligently and is keen to show off his knowledge, which raises contempt and laughter amongst his officer colleagues. He also boasts about his blue-blood pedigree whereas the author can reveal the his father is a normal honest trader is furs and skins. It is also revealed that Biegler is from Budějovice. Biegler takes centre stage on the train between Moson and Győr where he discovers the error where the mixed up books by Ganghofer renders the company's cipher key worthless, thus embarrassing Ságner in front of his fellow officers. His joy is short-lived though; Ságner puts him severely in place and Biegler drenches the humiliation in a concoction of cognac and cream rolls that his mother sent him. The awful outcome is that he shits himself so thoroughly during his unforgettable trip on the way to Budapest that he ends up in a cholera clinic in Újbuda, and from there he is dispatched to Tarnów for recuperation. Now he leaves the story, only to reappear towards the end of the novel. Here he is partially redeemed in the eyes of the reader as he silences the even more idiotic lieutenant Dub. The inspiration for the character Hans Bigler is without doubt Bigler, a young reserve officer in K.u.k. Heer who served with Jaroslav Hašek at IR91 in 1915. [2.5] Ve dveřích se objevil celý bledý kadet Biegler, největší blbec u kumpanie, poněvadž v jednoročácké škole se snažil vyniknout svými vědomostmi. Kývl Vaňkovi, aby za ním vyšel na chodbu, kde s ním měl dlouhou rozmluvu. Žlábek was a soldier Biegler wanted to tie up as punishment for having cleaned his rifle with kerosene. Šic was a religious colleague of Švejk from Pořící who he knew from his military service. When drunk Šic removed a statue of Jan Nepomucký from a roadside shrine and kept him for good luck.